4:35 pm PST: I am on scene once again at Oakland City Hall as the City Council is set to vote on moving the Coliseum City project forward. For today, I have dub Frank Ogawa Plaza “Walter Haas Plaza”. For those of you too young to remember the late Mr. Haas, he was the owner of the A’s prior to the dirt bags known as Schott & Hofmann and current dirtbag owners Lew Wolff & John Fisher. Along with me at the moment is Gorilla Rilla as we await the rest of the fans and Save Oakland Sports members to arrive. There are two news trucks on scene at the moment as well, but I am not doing any interviews until everyone else is here to speak their minds as well. 5:30 pm PST: We are now roughly 30+ deep at this point with a good mixture of A’s fans, Raider fans & Warrior fans. 4 news truck are on scene now and have just finished up interview Save Oakland Sports Co-Founder/Green Stampede Founder/A’s Fan Radio Co-Founder Chris Dobbins with the rest of us serving as his back drop. 6:35 pm PST: The group has now made its way into City Hall. Once again like last Tuesday, the Coliseum City project is near the bottom of the agenda, item 15 tonight, so it will be a while before you hear from our end. RF Drummer is getting things ready to broadcast the Coliseum City project portion of tonight’s meeting on our Ustream channel, so be ready to head over there to catch the action. 7:35 pm PST: Still looks like its going to be a while before we get to CC. Right now, the issue over Desley Brooks’ teen center and how it was funded is on the floor. StAnd by for now………..
8:35 pm PST: Still where we left off with speakers for the teen center issue. Hang in there y’all, we’re almost there………………………. 9:25 pm PST: Looks likes the teen center issue is about to warp up here soon. Coliseum City is UP NEXT! StAy tuned…………. 10:03 pm PST: Looks like I spoke too soon. Sorry everyone that this is dragging on. Welcome to Oakland, lol. 10:09 pm PST: Finally, we have moved on to Coliseum City. Fred Blackwell is making his presentation right now. Guest speakers to soon follow. Remember, you can now also follow this LIVE through our Ustream channel. 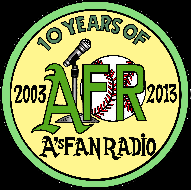 10:34 pm PST: Public speakers are now taking their turns to speak their mind, including Chris Dobbins, myself, Randell Whitney, Gorllia Rilla, Dr. Death, Black Hole Rob, Rick Tittle, Jorge Leon and may other members of the team’s fan bases as well as members of Save Oakland Sports. 10:43 pm PST: Mayor Jean Quan has joined us all in the chamber now. Just posed for a photo with Gorilla Rilla. 11:00 pm PST: Two men are just wrapping up pitching the “980 Ballpark” site as they did during last week’s meeting. 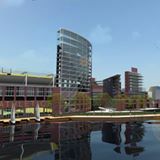 For those wondering or never heard of this site, the 980 Ballpark plan calls for the baseball park to be bulit over I-980, which would allow Downtown Oakland and West Oakland to be re-connected once again. Larry Jackson is now up, pointing events from past meetings dating back to 2000. Larry is known for coming up with what may have turned into the Coliseum City project. 11:06 pm PST: Public speakers are now done. Ignacio de la Fuente is speaking now, pretty much saying the same things he said last week. Glad to see he is behind this project. Points out that “we need to do better than we have before.” de la Fuente is also encouraging US to put presure on the team’s owners as well. Desley Brooks points out that they are doing a better job on working with the teams and getting this done not just for the sake of the teams, but for the sake of that land. Jane Brunner credits Larry Reid for pushing the Coliseum site over Victory Court, also still wants to look at the 980 site as well. Libby Schaaf, who was born & raised in Oakland, backs the plan, but also wants to look at plans for if one or more of the teams leave as well as an option for the site should all 3 leave. Thinks project name should be change to Oakland Live. 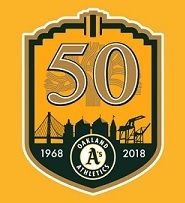 Larry Reid, who has pushed the Coliseum site for years and has been around through the ballpark issues longer that anyone else on the council, thanks Ron Dellums for sending a letter to Major Leauge Baseball, saying if not for that Oakland wouldn’t still be in the game. Nancy Nadel supports putting the A’s park at 980 site. Reid also pointed out how Lew Wolff pretty much took the Coliseum City idea, 15 years in the works mind you, and ran with it for the 66th to High St & Fremont sites. 11:24 pm PST: The ENTIRE City Council, with Mayor Quan watching on, votes yes on moving to EIR phase. This concludes tonight’s blog. 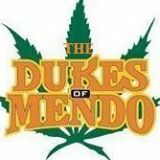 C-y’all Thursday night for our next show and KEEP THE FIGHT TO KEEP ALL 3 IN OAKLAND ALIVE! 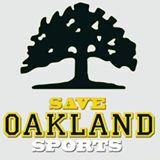 Remember that you too can join the grass roots movement to keep our teams in The Town by signing up on Save Oakland Sports’ official website.